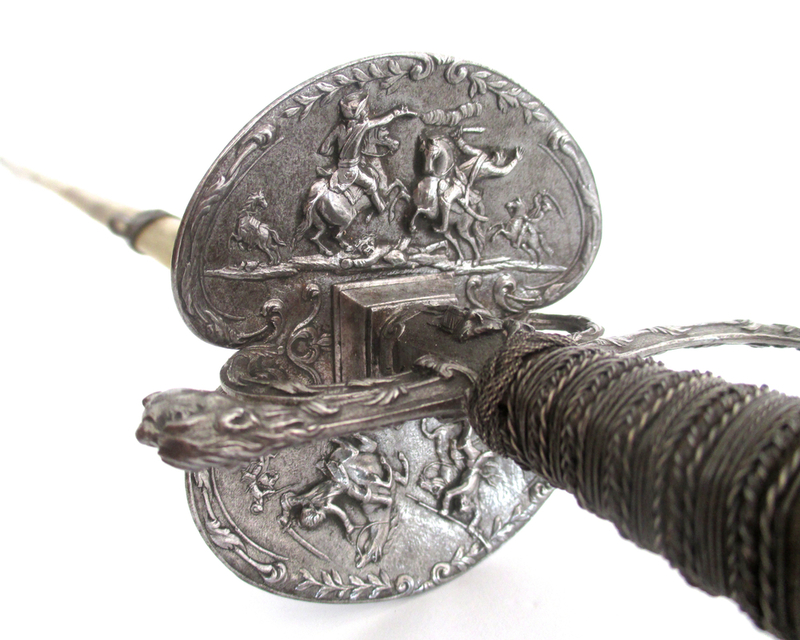 The steel hilt chiseled in relief with scenes of engagement between mounted European cavalry and opponents (perhaps Turks) in oriental dress wielding sabres. 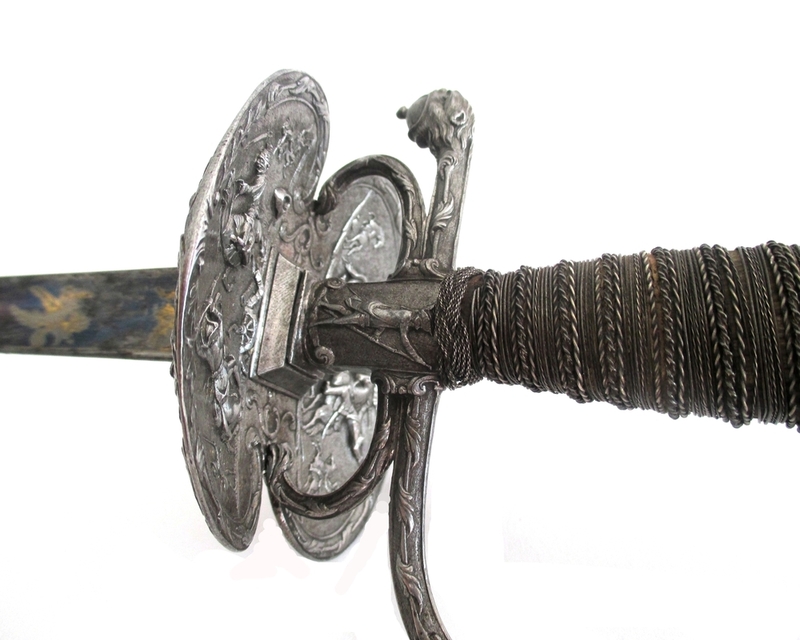 The blade of hollow triangular section, blued, gilt and engraved with trophies and bearing the blade-smith's initials SH. 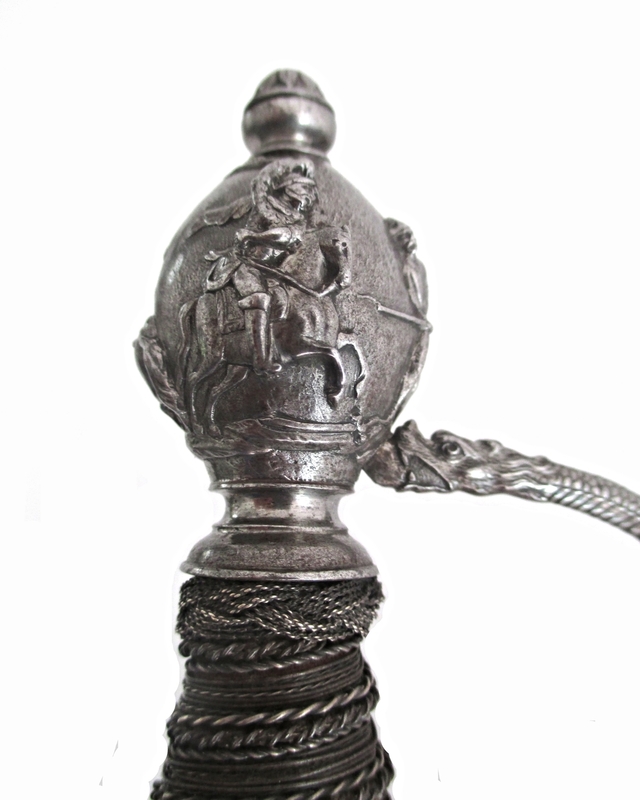 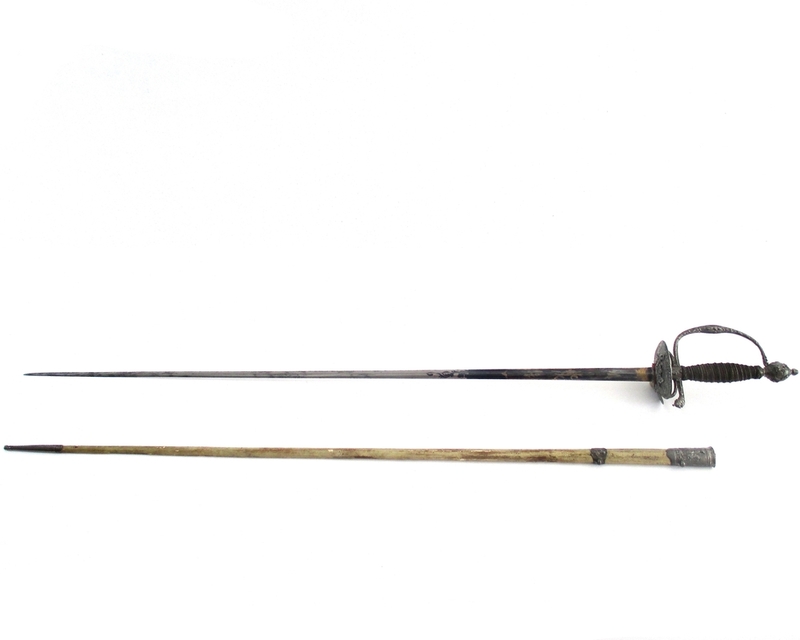 Contained in its original scabbard with mounts chiseled en-suite with the hilt. 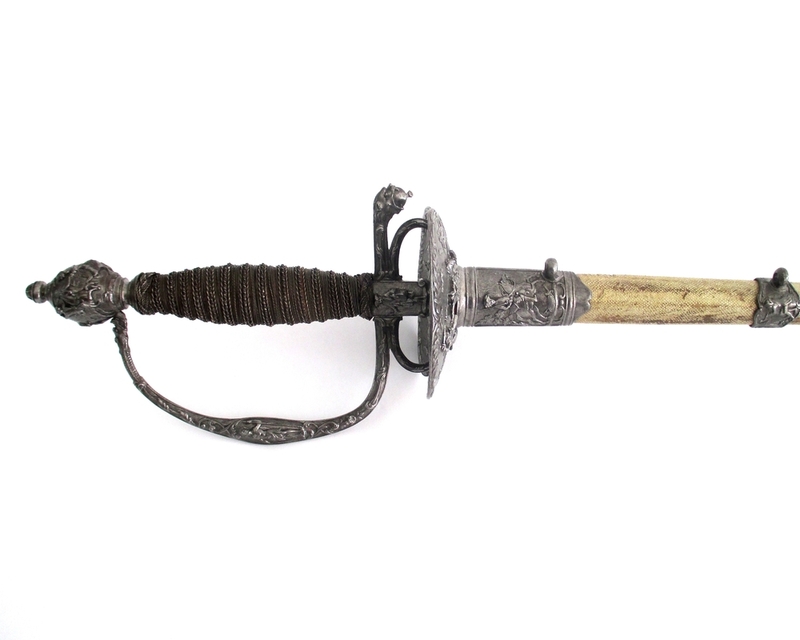 This exceptional small-sword is a master work of the steel chiseler's art.